Let’s have a look at how our Air Force (IAF) performed Yoga. 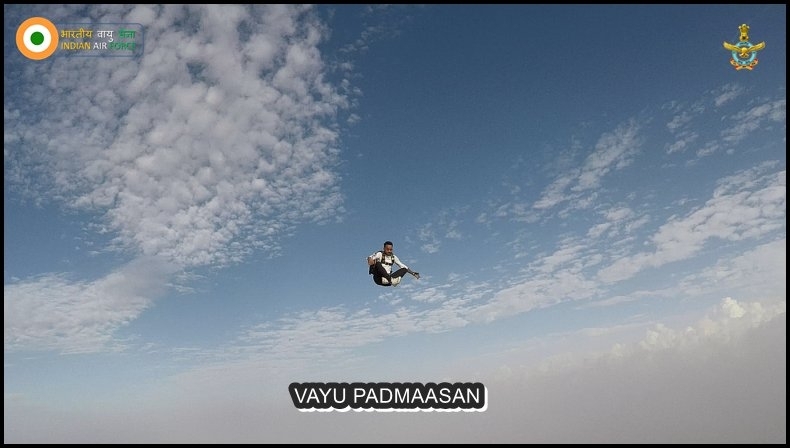 The Instructors of Paratroopers Training School of the India Air Force performed Yoga at 15000 Feet in the blue sky. IAF’s Airwarriors & Families all across the Air Force bases enthusiastically participated in the Mission Yoga in New Delhi. 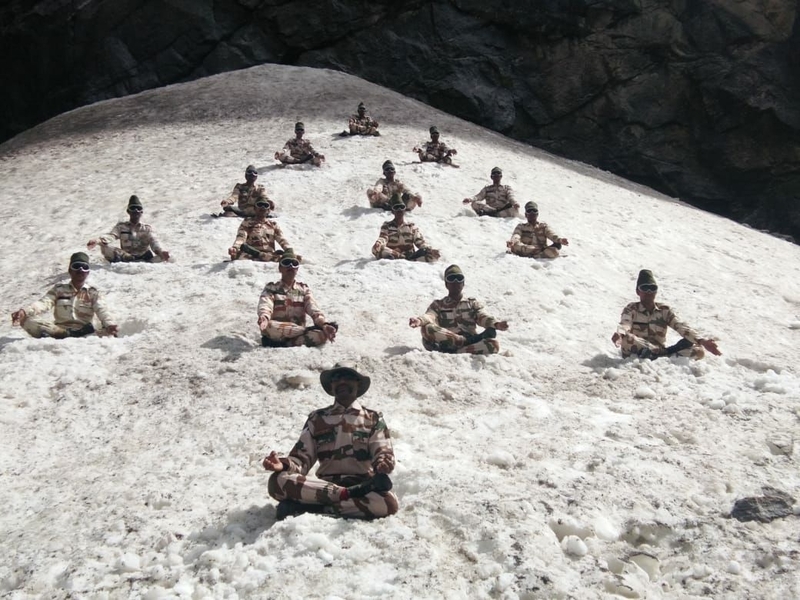 Have you performed Yoga at 12000 feet high in Icy Himalayas? But our Himveers have done so in one of the coolest placers Himalayas. 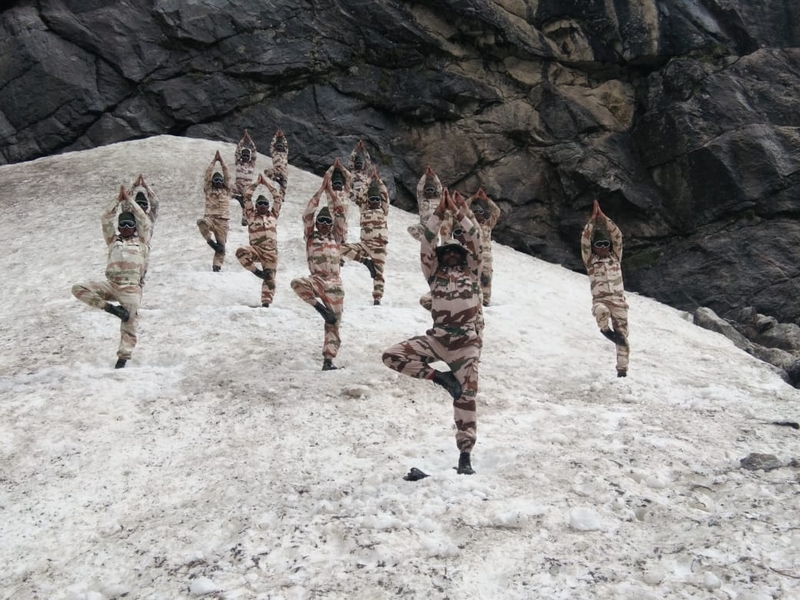 In Ladakh, Indo-Tibetan Border Police personnel defied the biting cold weather and performed Surya Namaskar asana, have a look. 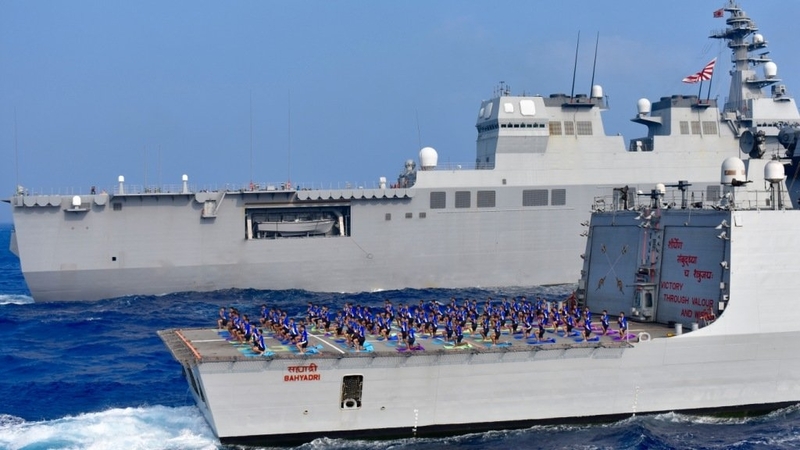 Waterwaves were also enjoying the essence of Yoga when Indian Navy along with Japanese Navy shared common mats to perform Yoga. 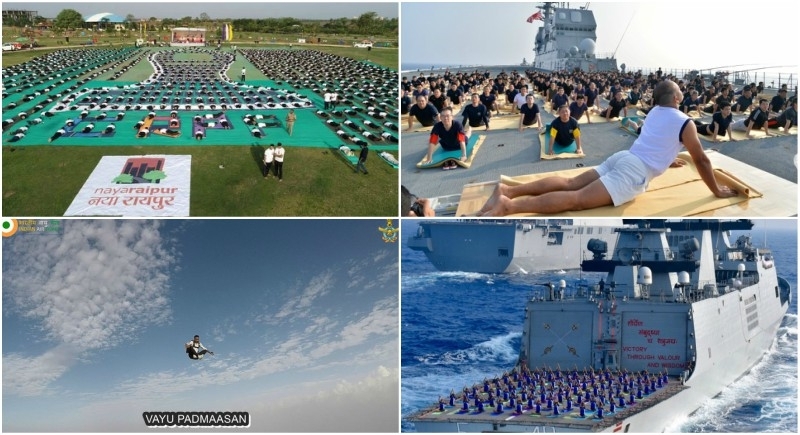 JS Ise & INS Sahyadri were full of Navy Yogis. Whereas Admiral Sunil Lanba CNS joins the naval fraternity for Yoga at New Delhi to commemorate International Day of Yoga. 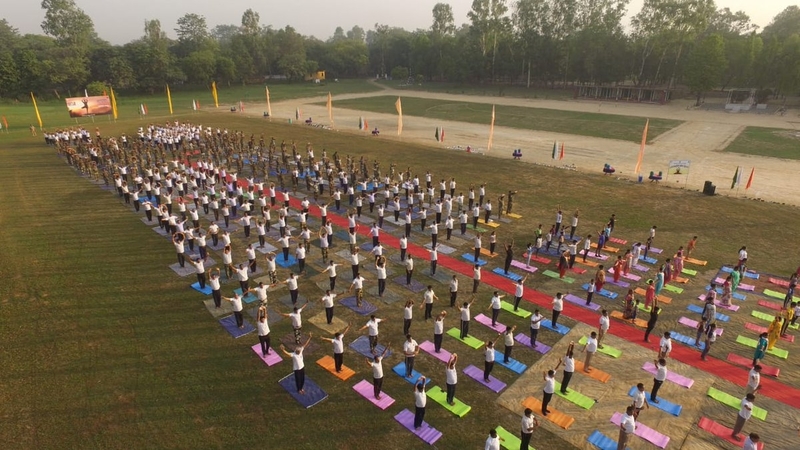 Border Security Force (BSF) celebrated this Intl Yoga Day in a very unique way by performing Yoga at the International Borders of India at Gujarat, BSF Frontier Head Quarters at Jalandhar etc. 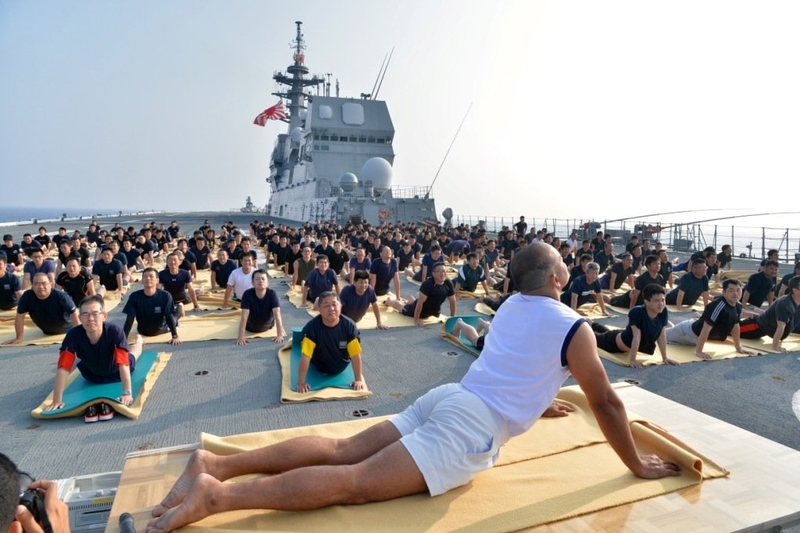 Yoga helps in building focus and strength necessary to keep a soldier fighting fit. 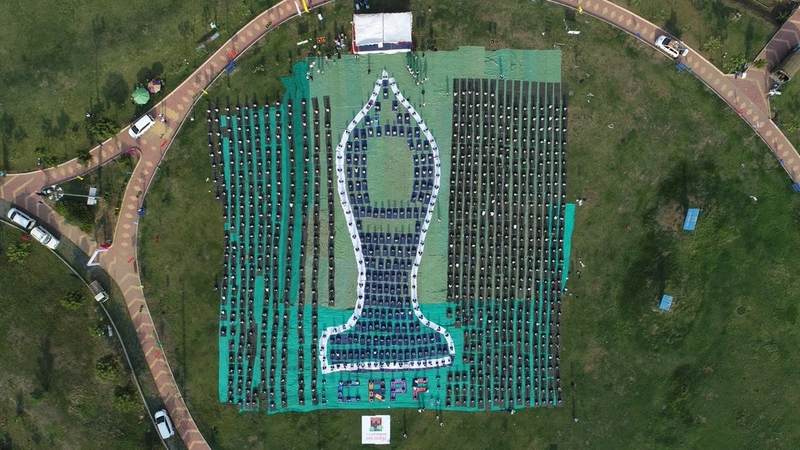 More than 1000 Central Armed Police Force (CRPF) personnel participated in Yoga organized by CRPF at Raipur (Chhattisgarh) for CAPFs in conjunction with Naya Raipur Development Authority.